Every month, Fulbridge interviews an ETA from around the world to get a glimpse of life in different placements. 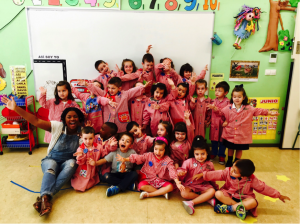 This month, Samantha Steiner, a 2017 ETA in Argentina , talked with Sojourner White, a 2016-2017 ETA in Spain. I studied abroad in Granada and fell in love with Andalusia. It was my first time abroad and the concept of seeing new places and immersing myself in another culture every weekend was unbelievable to me. I wanted to return to see more, do more and gain a higher level of fluency in Spanish. Granada felt like the beginning of it all and Fulbright was the best opportunity to get back. 2. How was your grant location different from the U.S.? How was it different from other parts of Spain? 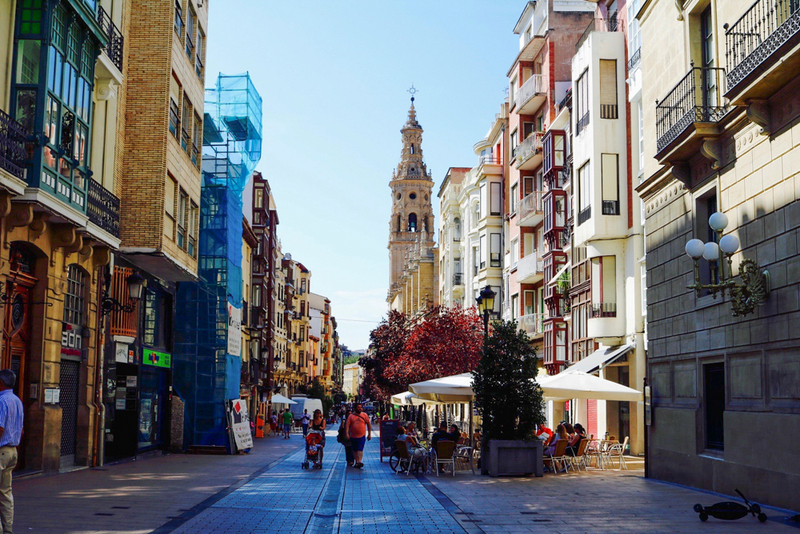 I’m a city girl, so going from Milwaukee to Logroño was an adjustment. 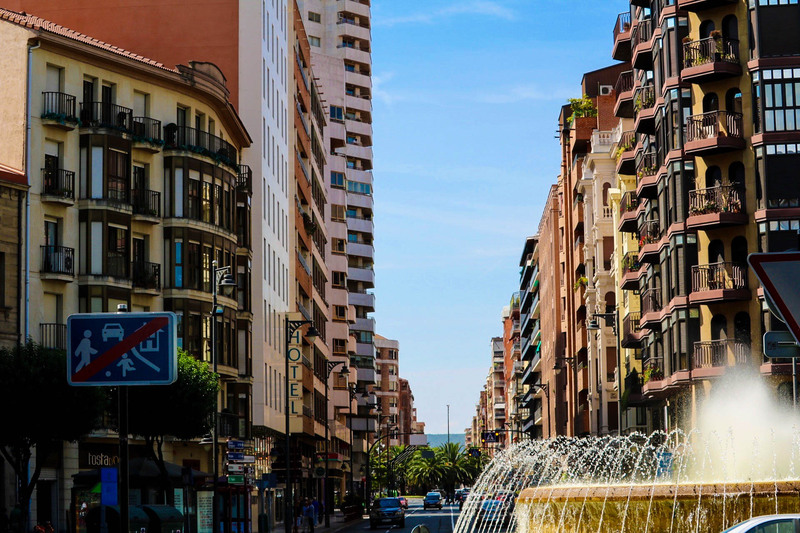 Logroño has a population of 150,000, which may seem big to some people, but was small for me. What I loved the most was walking pretty much everywhere, whether it was to the bus stop on my way to work, to the grocery store, to the gym or to a nightclub. Everything was within my reach. I miss that! Logroño isn’t diverse; Spain itself is homogenous, so that was a big change to me, coming from the U.S. I think Andalusia is what people would think of as the “stereotypical Spain” consisting of flamenco, tapas and bull-fighting. Northern Spain has pinchos (similar to tapas), wine tastings, cider and beautiful greenery that’s perfect for hiking. The two places are distinct and I appreciate that, because I was able to have two very different experiences. As for Fulbright Spain in general, there are TA programs in Galicia, Madrid and as of this year Asturias. Each region is different from climate to grade level! 3. Could you describe your experience navigating issues of race/gender/sexuality in Spain? As a black woman, race is something I’ve learned to navigate my whole life, whether I’m in the U.S. or abroad. But during my Fulbright year, the bigger identity to maneuver was nationality. In the U.S. no one questions it, but since I’m a black, English-speaking teacher from the U.S. it’s constantly a topic of discussion. When you don’t fit the mold of the traditional American traveler people in Spain normally see, it’s hard to understand the U.S. is more than blonde hair, blue eyes and pale skin. I’ve had people debate with me or even assign me an African country of origin because they just couldn’t believe I’m American. It can be overwhelming, frustrating and awkward to be challenged by strangers who don’t understand the complexity of U.S. history. I taught 3 to 12 year olds in English, Natural Science and Social Science on a weekly basis from 9:00am to 1:30pm. I rotated through 4 classes a day and either assisted students with their workbook, “sang” songs with the 3 to 5 year olds, or created my own lessons. I also ate way too much bizcocho (similar to yellow cake) with teachers in the lounge for birthday celebrations. After school I would go home, eat lunch, rest/watch Netflix, and then teach private English classes. Later I would go to the gym across the street, take a walk around the city eating gelato, go to Panaria (my favorite cafe) and twice a week I had Spanish class too! The evenings changed day-to-day, but I kept busy. I took up photography while in Fulbright so I enrolled in a photography class for 4 months. It was a new way to learn more Spanish. We took field trips to a museum and a village nearby as well. Teaching the extra English classes showed me the home life of Spanish parents and children, which was funny unless my students were in trouble. I also went on 8 winery tours in Spanish! La Rioja is the Wine Country of Spain so I had to take advantage of it, one wine glass at a time. One challenge I encountered at school was being the first Black American that my students had ever met, thus representing myself and my culture. Of course they were curious about my hair and family, but addressing the use of the N-word a few times gave me mixed emotions. On one hand it was a teachable moment for them to hear why it was unacceptable from a the point of view of a black person. On the other hand, there are adults in the U.S. who don’t get it and they speak fluent English so it’s emotionally draining to explain to non-native English speaking 9 year olds. Aside from that, figuring out how to engage 3 and 5 years old with English was another challenge. Quick hint: it requires a lot of energy and Super Simple Songs on YouTube! 7. What have been some of the highlights? 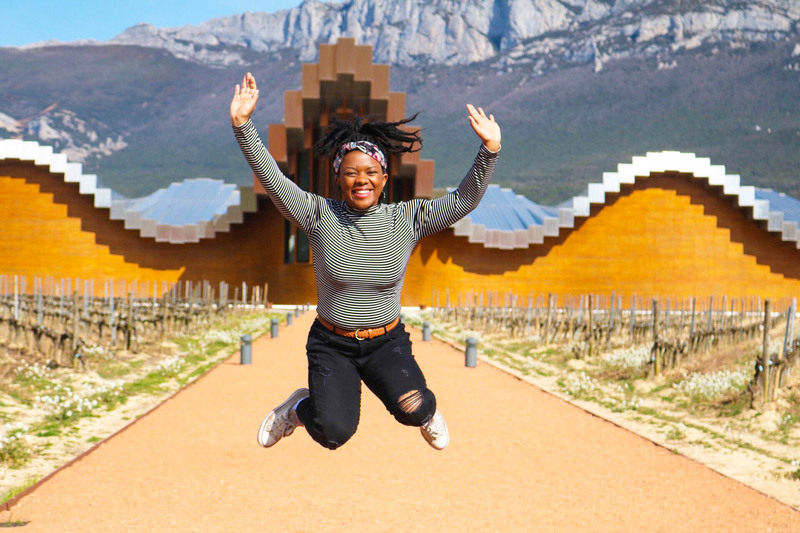 The wine tours, my cohort, my students and traveling were the highlights. Wine was a highlight because it’s the best wine I’ll ever drink at an affordable price. My La Rioja cohort became my mini-family and I made incredible friends who are going to change the world one day. My students were the highlights of my day, every day, because Spanish kids are hilarious and give the best hugs. The traveling was a never-ending highlight because of the flexible schedule and living on a new continent with much to explore. Looking back, it was truly a great year. 8. 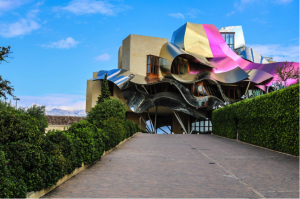 Why should prospective grantees apply to work in Spain? Anyone who wants to learn Spanish in Europe, live a more relaxed lifestyle and travel in a beautiful country all while teaching English and meeting new people should apply to work in Spain. The food is good too, even for someone like me who is pescatarian and doesn’t eat their infamous ham. There is so much to see that you can’t do it all in 9 months, but Fulbright can be the start of something great if you take the leap and apply. 9. How have your experiences in Spain changed you? When I studied abroad in Spain in 2015, it sparked my desire to travel. But doing Fulbright in Spain helped shape what I want to do in the future: work in the realm of International Education. 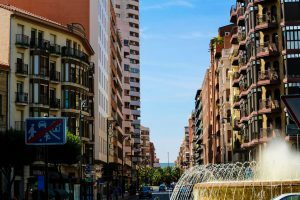 Living in Logroño and having a more relaxed way of life changed the way I approach my pace of life now in the U.S. I take the time to do what I want to do and don’t try to be busy all the time. Also, I have a newfound love of wine tastings and I want to search for them around me! When it comes to applying for Fulbright, go for it! I know it’s cliche to say, but receiving and experiencing a Fulbright grant is a once-in-a-lifetime opportunity. Don’t let it pass you by because of fear. And if you’re already in your Fulbright year, allow yourself to feel the good and the bad. It won’t be perfect 24/7, but the imperfection of it all creates memories you’ll never forget. Sojourner White is currently an AmeriCorps Service Member through Public Allies, a non-profit apprenticeship program. She graduated from Bradley University in 2016 with a B.A. in Psychology and Spanish, and a minor in Women’s and Gender Studies. When not working, she is writing on her travel, food and lifestyle blog Sojournies (https://www.sojournies.com/), listening to her favorite podcast or plotting her next adventure. Sojourner served as a Fulbridge Country Representative during her grant term.